Rowkin may not be a name you're familiarized with, but the San Mateo based company has already amassed a diverse lineup of Bluetooth headphones and earbuds. With the Rowkin Bit Charge Stereo, it's one of the many options out there trying to capitalize on the truly wireless headphones trend that has been maturing for the better part of last year. On paper, it seems promising with its discrete looks, accompanying dual-function charger, and MSRP of $129.99. As the good saying goes, good things come in small packages, but will the Rowkin Bit Charge Stereo yield any tangible results against the competition? We've seen this design countless times already, so there's nothing particularly original with the design of the Rowkin Bit Charge Stereo. 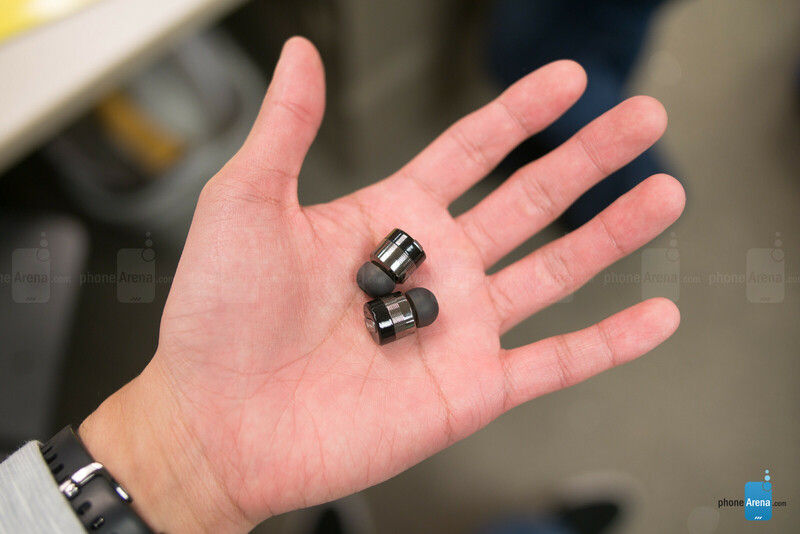 In fact, its design is very similar to other headphones – like the Earin M-1 and TRNDlabs' Nova True Wireless Earbuds. Quite simply, they look like your standard set of earbuds, but without the wire attaching the two together. At the very least, though, they're solidly constructed out of aluminum and stainless steel, which very much is reflective of its price point. While we enjoy the fact that they're compact and discrete looking when worn, you'll want to be extra careful handling them because you don't want to accidentally lose them. Speaking of wearing them, even though they're held in place by nothing more than the silicone ear tips, they somehow are able to stay in place – just as long there's minimal movement involved. For cardio junkies, however, the earbuds require frequent adjusting because they easily become loose when vigorously moving around. Working up a sweat using the Rowkin Bit Stereo Charge won't affect its ability to play music, thanks to the fact that it's IPX5 compliment for water and sweat resistance, but the moisture build up in the ear will accelerate its loose fit. This can be remedied by adding the silicone ear hooks that Rowkin offers, but it's an optional $10 accessory. Who knows if they're really worth $10, but it would've been nice to include them with the package regardless. Possibly taking more of the spotlight, the accompanying dual-function charger is arguably one of the most versatile and best designed we've seen packaged with a pair of true wireless headphones. 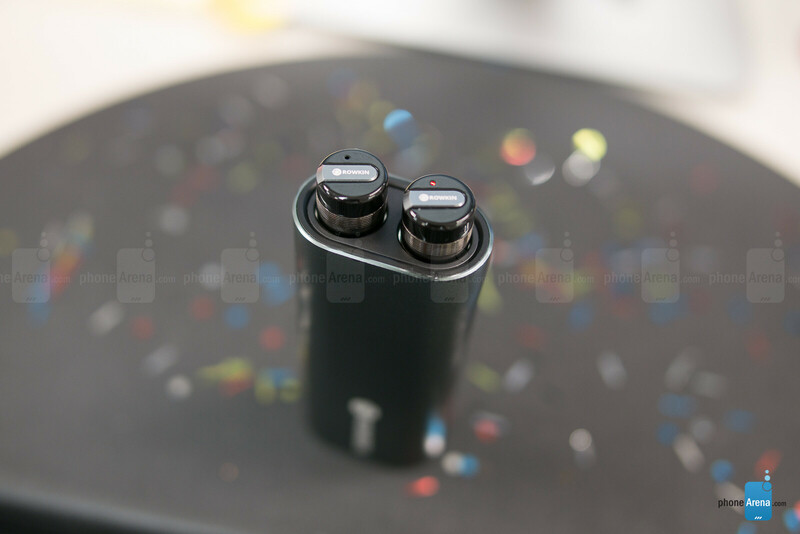 Not only is there a magnetic connection that holds the earbuds properly in place while they're charging, but it also doubles as a battery bank, as it features a full-sized USB port to charge other devices. Even cooler is how the earbuds retract back into the case, so they're safely protected in the process. Using the Rowkin Bit Charge Stereo for the first time, getting them turned on is achieved by long pressing on the physical buttons that are fashioned into both earbuds. 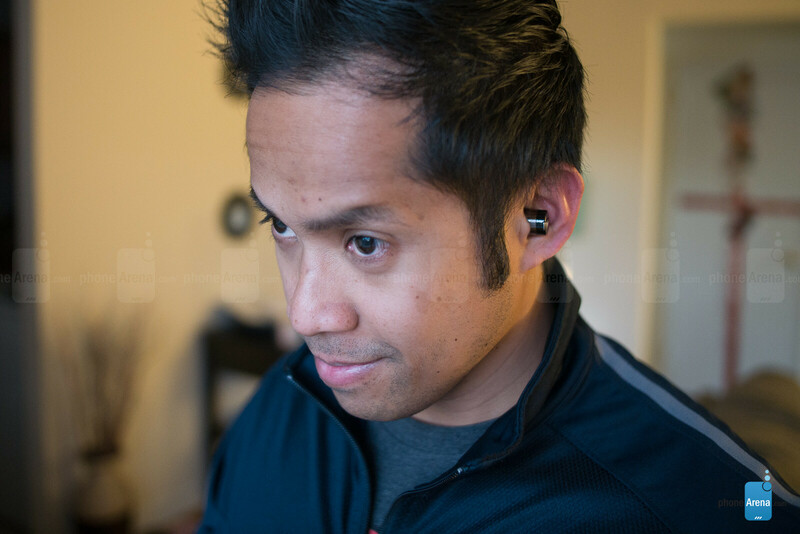 Once they establish which are the left and right earbuds, they're automatically placed into pairing mode, which from there requires us to just sniff them out from our phone's Bluetooth settings menu. There's no dedicated app required for them to work, so all media and playback controls are largely done by the smartphone. Most of the higher end true wireless headphones offer additional "smart" functions, like the ability to automatically detect if they're worn or not – so in that event, music will be either paused or continued. With the Rowkin Bit Charge Stereo, you're not going to find any of that or other functions besides just being able to pop them on and listen to music. One of the most pressing issues we faced using the wireless earbuds is that its Bluetooth 4.1 connection drops more frequently than some others we've tested. While it's not to the point of happening every couple of minutes, its frequency in our experience is still greater than others in its segment. Within a one-hour span at the gym, connectivity would go in-and-out on five different occasions. In our testing, the Rowkin Bit Charge is able to retain connectivity upwards around 15 feet before drops begin to occur. Being extremely miniscule in size means there's only so much real-estate to work with here, which is probably why Rowkin is only able to slap a single, physical button on each earbud. Thankfully, they're pretty tactile and reasonably sized, but their functions are limited to pause/play with a single tap – while double clicking will initiate your phone's voice command function. In terms of adjusting the volume level or track forward/reverse functions, all of that will need to be done locally on your mobile device. 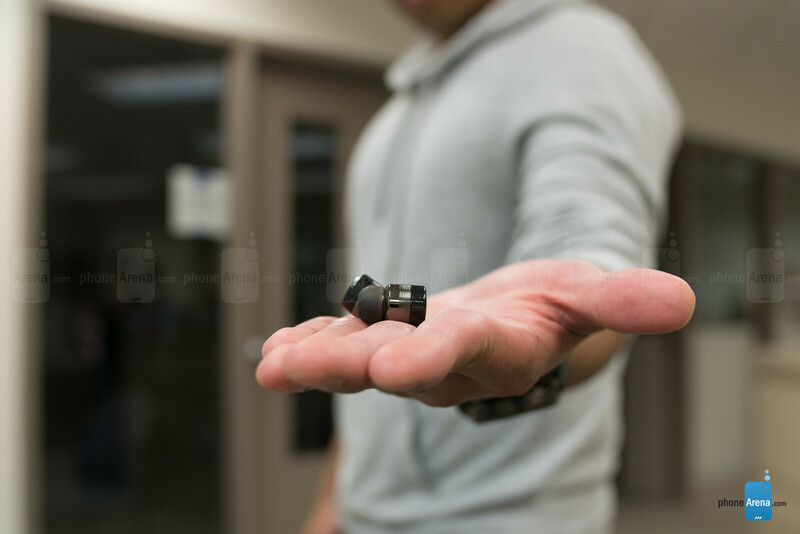 Don't let its small size fool because we're pleasantly surprised by the Rowkin Bit’s audio performance. While lower audio ranges aren't as emphasized as the mids and highs, it manages to produce a clean audio. It's not too thin, but it's not ground shaking either. 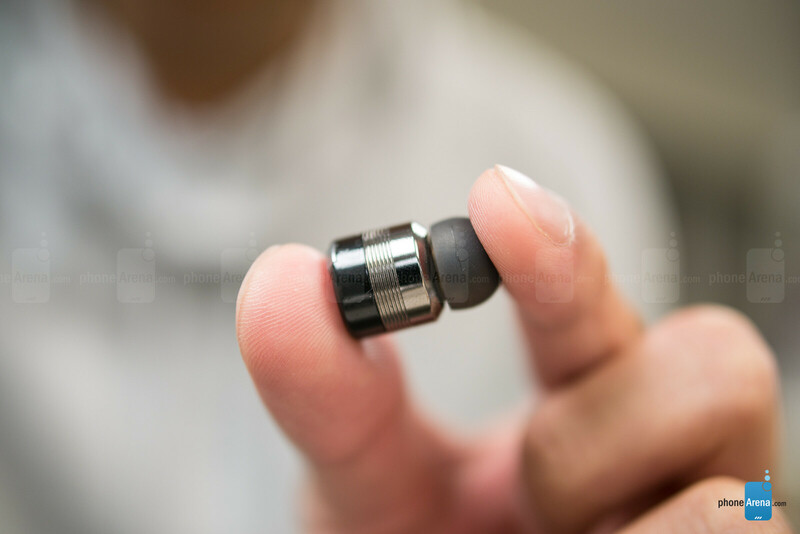 Thanks to how the earbuds fit snuggly in our ear, there's a fair level of suppression that allows its volume output to be potent even in noisy situations. 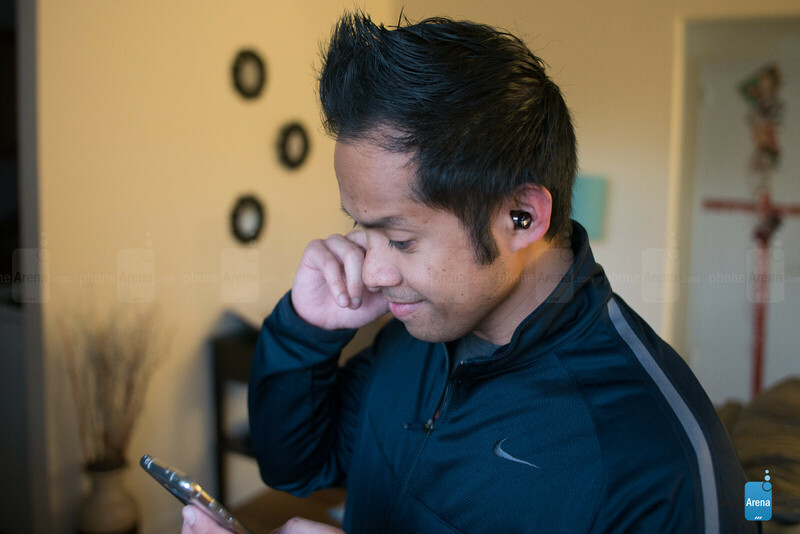 With such a miniscule earbud suze, one’d assume battery life won’t be too impressive. Luckily, that's not the case here with the Rowkin Bit Charge Stereo, which managed to deliver almost 3 hours of continuous battery life from a single charge. It might not be the longest-lasting tally we've seen in this segment, but its dual-function charger is equipped to recharge the earbuds approximately fifteen times, which means extended usage without the worry of having to constantly charge it. They may not be the most feature-rich true wireless headphones we've seen, nor are they the most original looking either, but the Rowkin Bit Charge Stereo delivers a promising package at $129.99. Combining its water-resistant design, good battery life, pleasant audio quality, and one of the slickest looking and functioning battery charging cases, it seems like an option worth looking into if you're looking for a pair of truly wireless headphones for casual listening. For fitness junkies, we just wish that they included those winged tips included with the purchase, as opposed to a $10 add-on charge, but the other main concern of ours is the potential for the Rowkin Bit Charge to drop connectivity if you're moving about frequently. Obviously, this won't be problematic if you're stationary and just listening to music at your leisure. As of right now, though, you can find them on sale for under $100, making them slightly more attractive to pick up. Gel earbuds is a no go for me.